I am a graduate student at Texas Tech (UT Austin alumni), studying horticulture. I will be researching several wildflowers found in west Texas including Penstemon tenuis, Monarda citriodora, and Machaeranthera tanacetifolia. I am having trouble locating information on how to germinate the seeds and was wondering if you had any advice on how to scarify and stratify them. Also, would you know about using bleach or a warm water soak on these types of seeds? Any germination advice would be most helpful! You should be able to get good results with your efforts to germinate Penstemon tenuis (Brazos penstemon), commonly known as Gulf Coast Penstemon. This penstemon is known to reseed freely. However, like most penstemon species, it benefits from a cold treatment. (Sow under thin cover 3 wks @ 40ºF (4ºC)) is the recommendation of an authoritative web site by Jim Swayne. I suggest that you wait until the seed pods dry and just begin to open (it shouldn't take long), then stratify if you hope to get germination the same season. No light is required. Sowing: Sow in Late winter to late spring. Monarda is easily grown from seed. They can be started early in pots or sown directly where they are to flower once all danger of frost is passed. Surface sow at 1.5mm (1/16in) deep in pots or trays containing good seed compost. “Just cover” the seed. Make sure the compost is kept moist but not wet and seal inside a polythene bag until germination which usually takes 10 to 24 days at around 20°C (68°F). Once seedlings are large enough to handle, transplant to 7cm (3in) pots. Harden off before planting into their final positions in early summer. Space 30cm (12in). Plant 1/8in deep in good quality compost. Germination takes 10 to 30 days. Thin out when large enough to handle, so that they are finally 30cm (12in) apart. Provide additional water if necessary until the plants reach 30cm (10in). Sow at 20ºC (68ºF), if no germination in 3‐4 wks, move to ‐4 to +4ºC (24‐39ºF) for 2‐4 wks. Seed - sow mid to late spring in a cold frame. Germination usually takes place within 10 - 40 days at 20°c. When large enough to handle, prick the seedlings out into individual pots and plant them out into their permanent positions in early summer. The seed can also be sown in situ in late summer in areas where the winters are not too severe and will produce larger plants. Cuttings of soft basal shoots in spring. Harvest the shoots with plenty of underground stem when they are about 8 - 10cm above the ground. Pot them up into individual pots and keep them in light shade in a cold frame or greenhouse until they are rooting well. Plant them out in the summer. Division in spring or autumn. Maintenance: Allow seeds to mature completely (spherical heads become dry and brown) before mowing or cutting down. Since an annual, it is essential this species is allowed to reseed itself for the following year. Machaeranthera (Asteraceae). M. tanacetifolia germ. 70 F (20-30% in 3-10 days) with either fresh seed or seed dry stored 6 months at 70 or 40 F. Seed sown at 40 F gave lower germination. Regarding your question about using bleach to enhance seed germination, take a look at Nursery Manual for Native Plants by Tara Luna, Kim M.Wilkinson, and R. Kasten Dumroese. There is some very good information about overcoming seed dormancy using water, bleach, stratification and scarification treatments in the Seed Germination and Sowing Options in chapter 8. 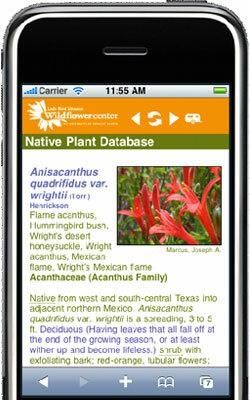 Best wishes with your research on these native plants. August 06, 2014 - When does Bouteloua dactyloides go to seed in the southern United States, mainly Texas?